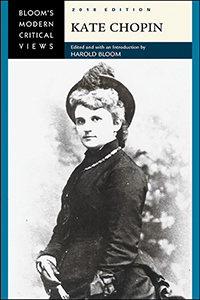 Initially known for her short stories and articles, Kate Chopin was considered to be little more than a regional writer. Published in 1899, her second novel, The Awakening, received little attention until the 1950s. Now, Chopin’s work is known for its play with narrative styles and its examination into the complexities of women’s interior lives. With an introductory essay from Yale literature professor Harold Bloom, this volume contains a collection of the finest contemporary criticism on Chopin, plus a bibliography and a chronology of the author's life.